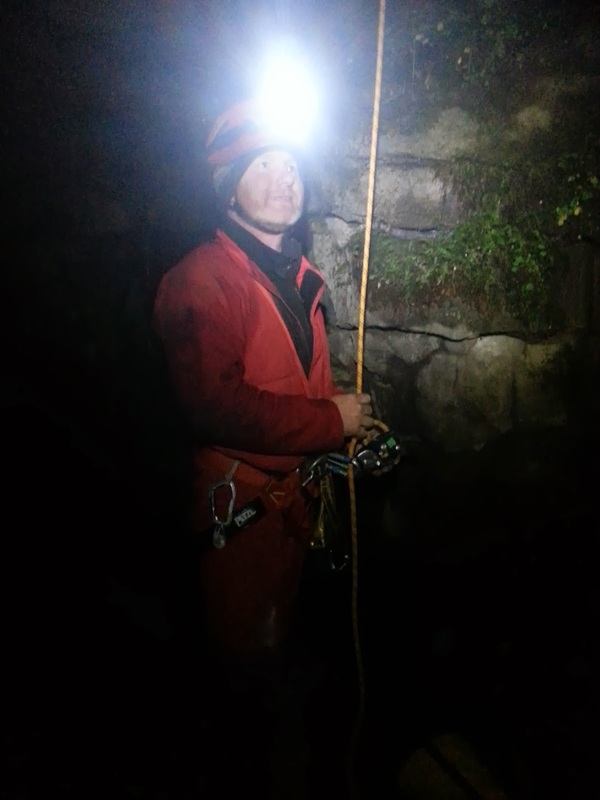 On a wet and horrible day last Saturday we decided the best place to go to have an exploring adventure with our neice and nephew were the mines of Nenthead nr Alston. These old lead mines are looked after by a charity and access is open to the public...very much at your own risk! Which is great to see a tiny part of country still allowing people to use their own common sense rather than just banning it. 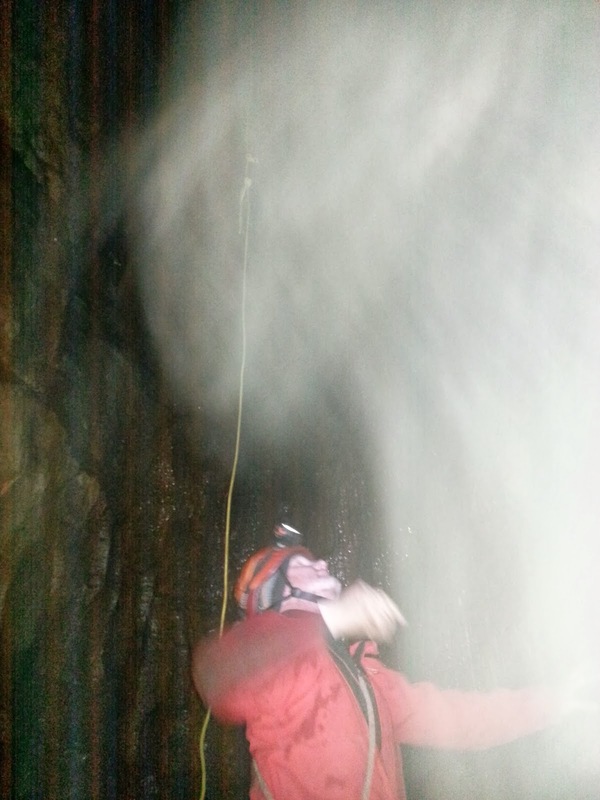 With a bit of local info from a guide and a survey we headed into Smallcleugh Mine, with the kids leading the way! It was pretty wet in places, with deep puddles and mud...perfect for family fun! The Family posing in one of the larger caverns. It was cold and wet outside, hence all the clobber. Auntie Ali and Hannah. Hannah said it was one of the best adventures ever! Thomas with the map leading the way, although we were just following our noses until it looked unsafe. This is part of a Horse Gin, which was used to winch water up a shaft and pour it back down again to circulate air in the mine. We were probably in there for an hour before tea and cake beckoned, but will definitely be back with more info. I'd long assumed that all the limestone caves nearer to Penrith were just grotty horizontal crawls, with some interest and adventure about them, but nothing special. So it was with some intrigue that i started to discover the vertical 'Pots' that exist up on the stunning fells SE of Kirkby Stephen. These hills are lovely and the road to the caves goes over a high pass right through them. 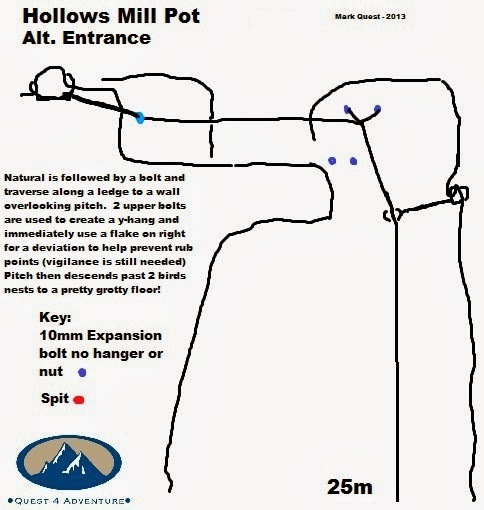 The caves include Fells End Pot, Hollows Mill Pot, Jingling Pot and more besides. 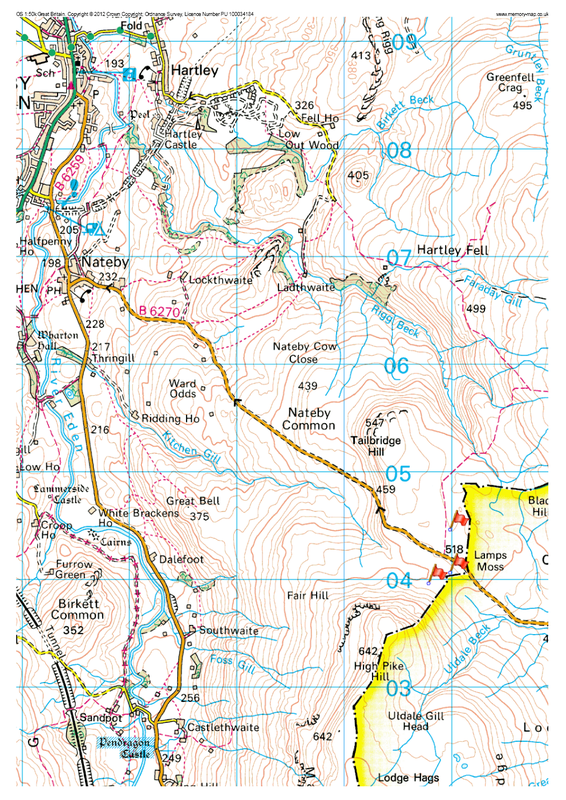 To get there take the B6270 out of Nateby and head right up onto the fell to it's highest point and park up by a footpath sign. The caves a just a 5 min stroll either side of the road, but take care, some are pretty well hidden by the landscape and you really don't realise their depth til you're in them. All the following information i found out through going and looking and reading on-line (although there is very little) and generally sniffing around. Don't take any of it as gospel, and don't assume any of the anchors are there or any good when you visit...a sense of adventure and self-reliance are key! 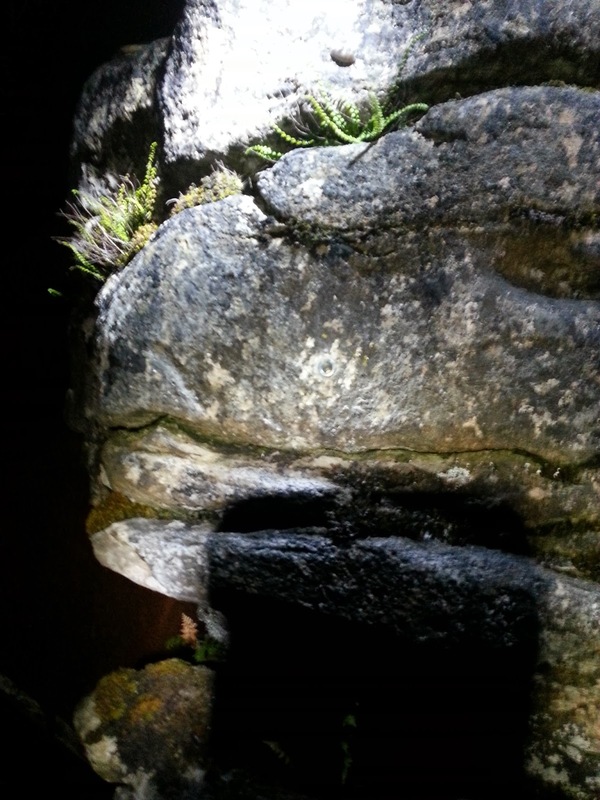 This pot is amongst a series of 4 or five shakeholes, all with limestone pavement and all with some reasonable holes in them. What makes it unique is the small stream running into it's right side as you have your back to the road. 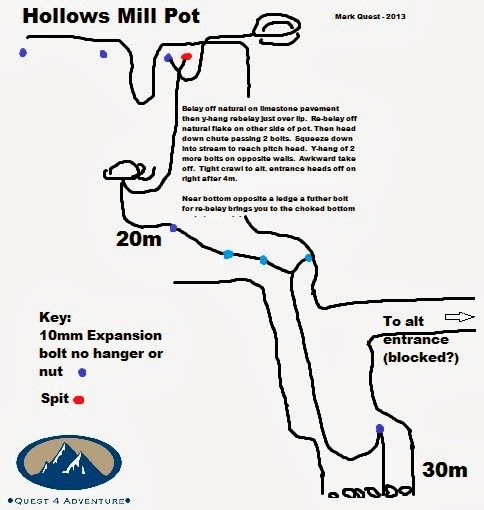 You tie off around a natural boulder and head across a rift to sit on it's far side.from where you can reach a bolt and a spit (cavers bolt). This produces a bottom clenching (because of rusty bolts not the height) y-hang abseil 6m into the Pot which is pretty confused and open air at this point. 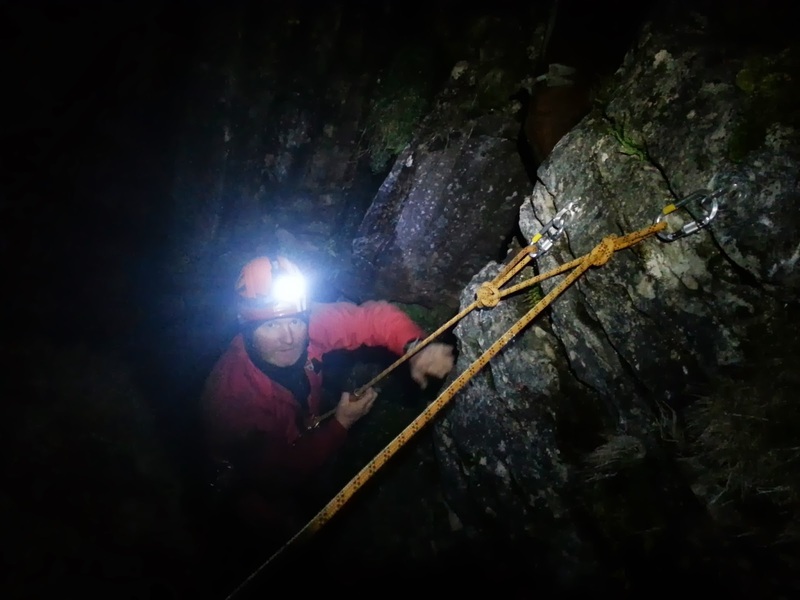 Just when i thought we'd hit a dead end, i found another bolt and a chute leading down into the dark. 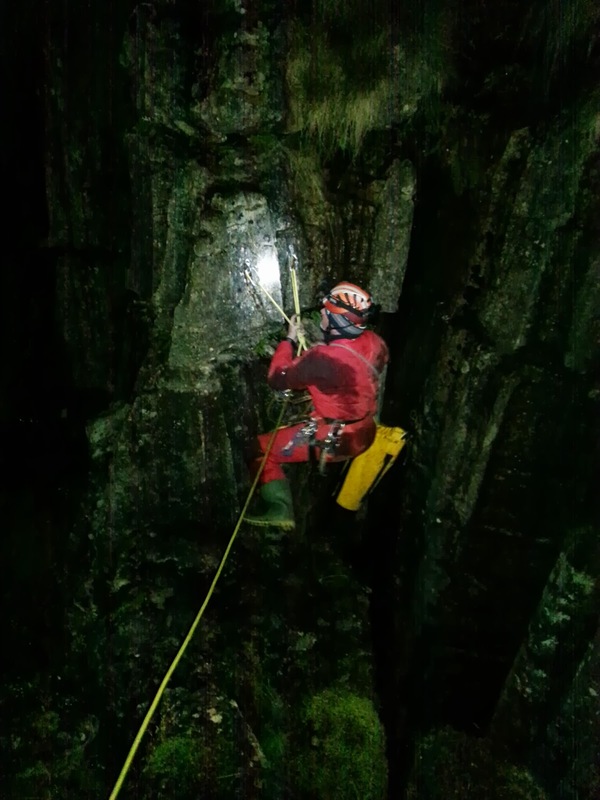 I quickly fixed a handline and headed down and around a tight corner to be faced by a deep (24m) vertical shaft, not what i had expected in Cumbria. This is great pitch and full of fossilised Crinoids and Braichiapods. It's also pretty black from the peat staining which is weird. Off to the right about 4m in there's a tunnel leading off which apparently connects with the Alt.entrance. This was a bit full-on with the current anchors, so we will return with the bolt kit and go and explore. Unfortunately i forgot the camera for all this so no pics! Coming back up the pitch, getting off the pitch head is probably one of the hardest i've had to do! Bloody awkward and on anchors that you don't want to bounce around on...hmm? Of course, this doesn't make it hard, just me rubbish! 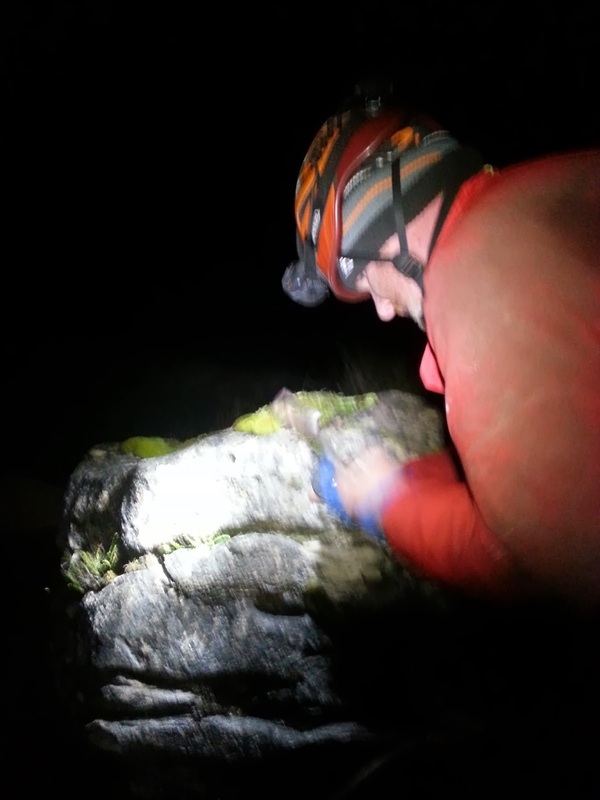 So we think we found this 4.5m west of the last pot, with a traverse on a ledge leading to a y-hang and quick deviation to try and stop rope rub. Mark rigged and then cursed me 5m from the bottom when he ran out of rope and was forced to tie the next one on and pass the knot. All good practice, but you do feel silly doing it 5m off the deck! 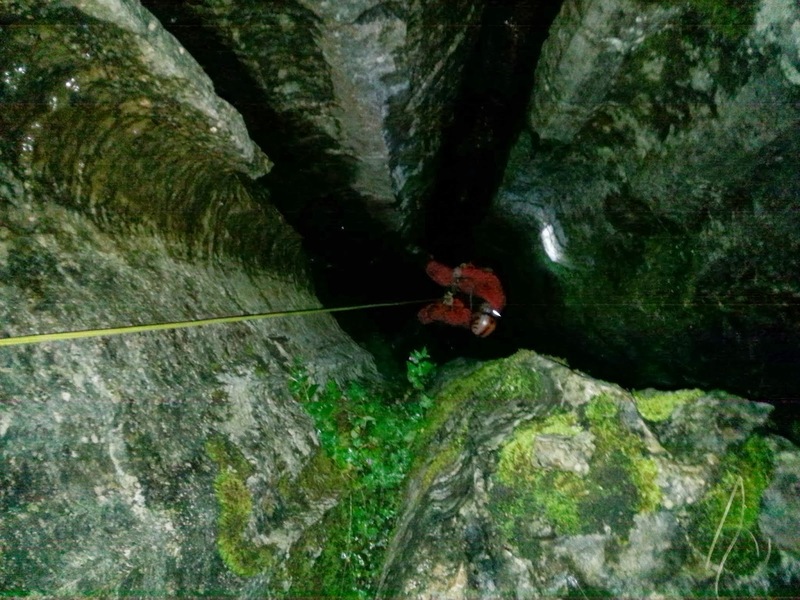 The cave is actually a bell shape, being much bigger and wider at the bottom and makes you realise what you were wandering around on at the top...yikes! It's an impressive chamber and you pass 2 pretty birds nests on the way down. However the farmer has chucked no end of plastic, metal and dead sheep into it so it's a bit minging to say the least. No, not the one in Yorkshire. This is the little brother and it is pretty little and just 9m deep. 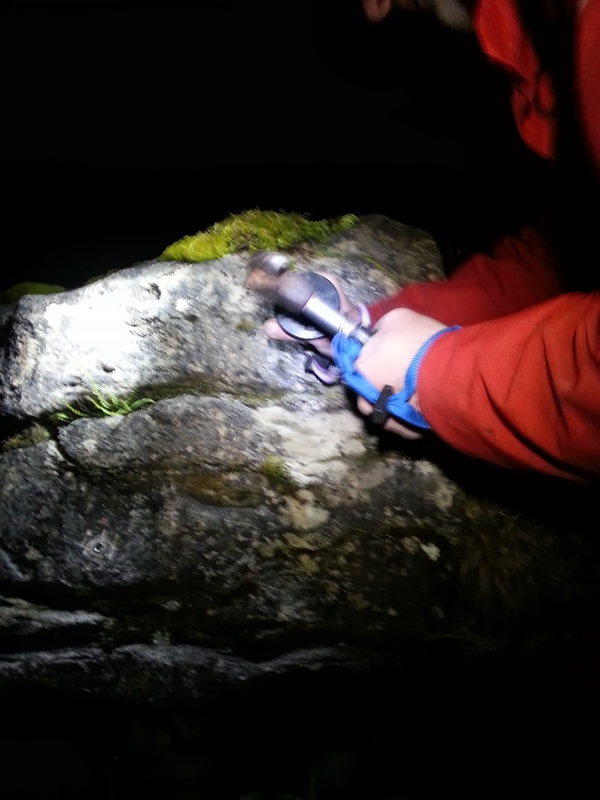 But it's kinda cool and didn't have any reliable bolts to SRT in, so we jumped at the chance to do a bit of self-learning at placing caving bolts or Spits as they are known. Without getting too complicated, you attach the self-drilling anchor onto the driver, hit it with your hammer and turn it, hit it and turn it and hit it and turn it. Now repeat for about 10min (15min if you are me!) and be dangling awkwardly over the drop, paranoid you are going to drop everything. 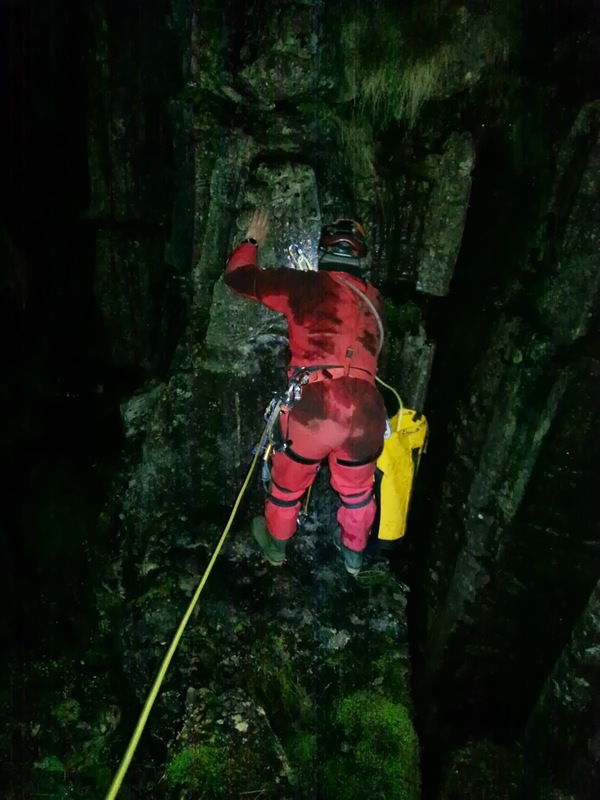 Helmets off to those who explore proper caves for the first time and place these as they go! ...probably pretty gently cos you've just placed them and they can't possibly work...can they?! Well they did and very happy we were too. We still have to visit Fells End Pot where a dig is going on and will be back to explore some more. A great little place place for some adventure and only 30min from penrith.